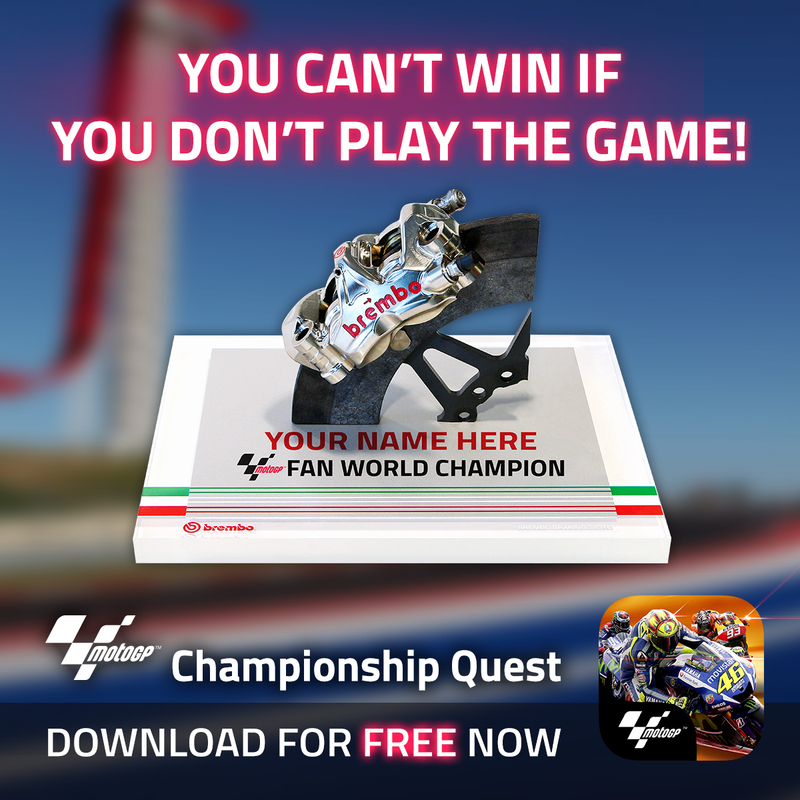 Barcelona, Spain, January 11, 2017	(Newswire.com) - ​​The official MotoGP Mobile game “MotoGP Championship Quest” by WePlay.Media announced the winner of the Inaugural 2016 MotoGP Fan World Championship contest which has been won by Irish rider Eugene Laverty of Team Aspar, followed by Frenchman Loris Baz riding of Avintia Racing and Spaniard Aleix Espargaro aboard the factory Suzuki. The ever popular Valentino Rossi was the most chosen racer in the Fan World Championship and amassed the highest aggregate score of over 2 trillion points in total however this was not enough to secure the 2016 Fan World Championship crown as the focus is not just on popularity, but the consistent effort put in by fans over the season to support their favorite rider. The MotoGP Fan World Championship is decided based entirely on the engagement of the fans. Laverty’s fan base, while significantly smaller than Valentino Rossi, has been active in achieving success. 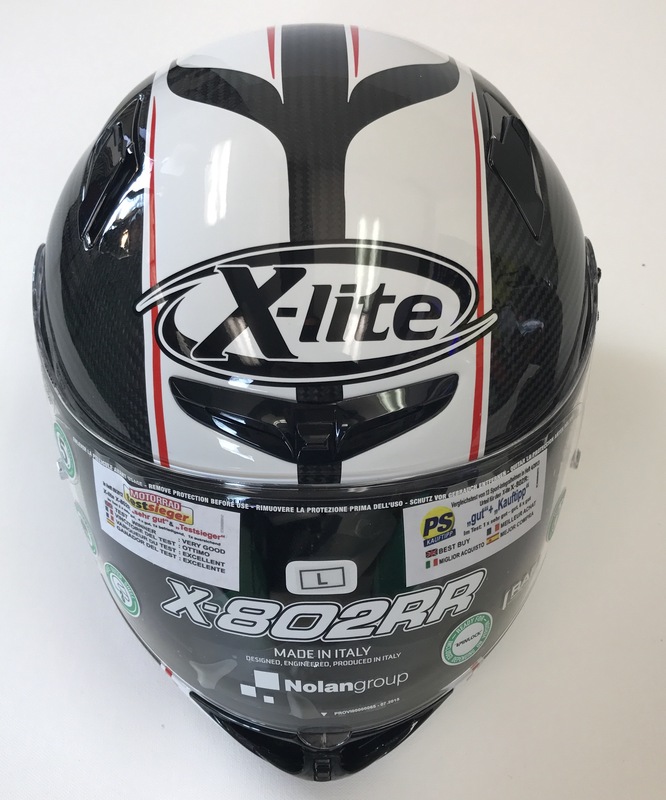 The MotoGP Fan World Champion, Sam Knott from England, has invested over 500 hours of time, completing more than 6600 races and scoring an incredible 221 billion points. In second place, an Indonesian Fan, Ant Ants placed second competing for Loris Baz. MotoGP has a massive fan base in Indonesia where the MotoGP Racing Game app is one of the most downloaded racing games in the App Stores. His contribution of 154 billion points for Baz came about quickly as he amassed the incredible score over 5 months following the release of the Android App on the Google Play Store. Taking the third step on the podium was Aleix Espargaro whose top contributor Mohd Khairul of Malaysia, scoring 101 billion points for the Suzuki rider. MotoGP’s popularity in Malaysia outstrips all other motorsports, and over 300,000 Malaysian fans have downloaded the MotoGP Racing Game app since its launch. The three top placed Fans will each receive a magnificent Brembo Fan World Championship trophy, manufactured from an authentic MotoGP carbon fiber brake disc and MotoGP spec caliper. 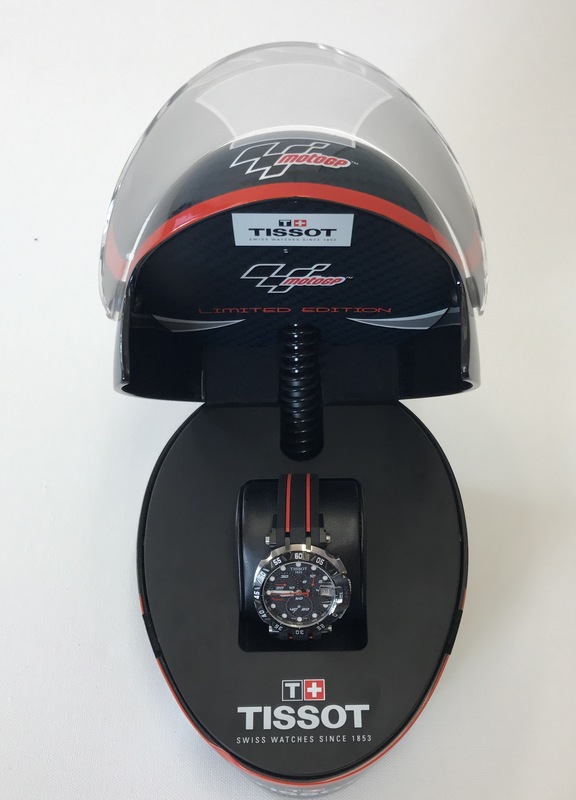 Each contestant will also receive a limited edition X-Lite helmet and collectible MotoGP series watch from Tissot. Other prizes include paddock passes to a race of their choice and a travel credit to assist with getting to the races. 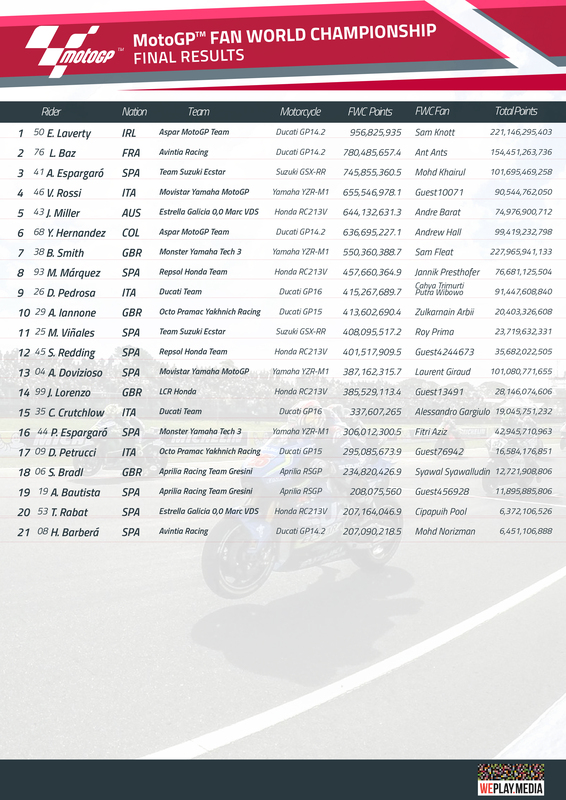 In the manufacturers championship Honda secured the top place and the Repsol Honda was the most frequently chosen team bike followed closely by Yamaha, Ducati, Aprilia and Suzuki. The consistent rise of virtual sports games and the ubiquitous uptake of high end smart phones have been huge contributors to the massive uptake of the new MotoGP Racing App which has been downloaded by over 3 million people to date. For the first time fans around the world have been able to download the App for free and compete against one and other while making a meaningful contribution to their favorite manufacturer and rider. WePlay.Media was founded by 30 year video game veteran Mark DeSimone and his partner Graeme Warring to bring to market AAA quality experiences and content to mobile. While games are often what the company produces, it sees itself as a media enterprise, producing content for the mobile audience who spend more time looking at their mobile devices than they do the television. The company has produced mobile apps for major international motor sports and created the "Fan World Championship".